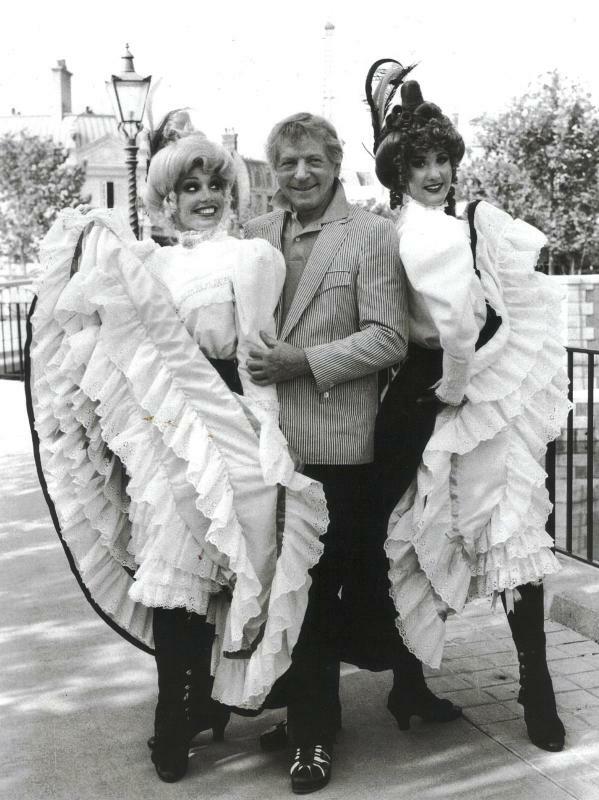 There is little to say about Danny Kaye that hasn’t already been written. He co-starred with Bing Crosby in the 1954 holiday classic, White Christmas. His work with, and for, UNICEF has been an inspiration to many a generation. A star of movie and television screens, a remarkable stage presence, brilliant vocalist, and the host of his own variety show, there was no entertainment venue that he could not excel in. In 1982, Kaye delved into his considerable hosting talents to unveil EPCOT Center to the world in EPCOT Center… The Opening Celebration. CBS aired the special, which was a combination of live television with taped segments, on Saturday, October 23rd at 8:00pm. While the park had been open for several weeks already, the showcase, which was billed as a “musical tour through the magical kingdom of EPCOT Center,” enticed viewers to visit the 21st century. Danny Kaye’s performance was precisely what the special needed, a performance that holds up even today. Of course, as this photograph displays, he did have some help in his ability to entertain.